This problem is similar to the last one. 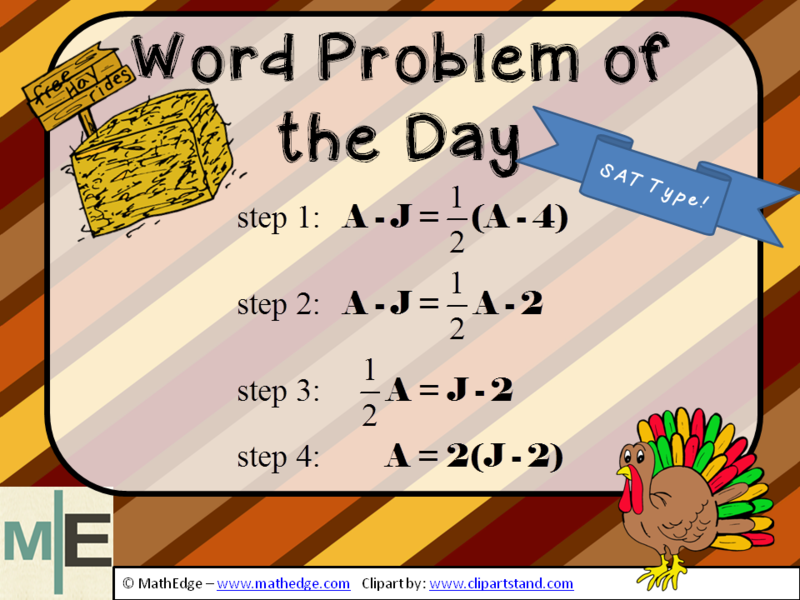 And if your students have mastered the concept of translating word problems into math expressions, then setting up this problem correctly should be verified. This is critical, so any misconception or confusion should be addressed thoroughly. If the initial setup of the problem is incorrect, then the solution will almost always be incorrect too. 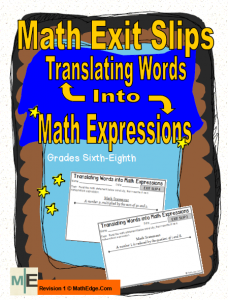 These 10 exit slips are a great way to check a student’s understanding of the vocabulary used in mathematical sentences. They help students understand the meanings of math terms and how to write these words in the form of math expressions. This product aligns with pre-algebra and algebra math curricula in addition to Common Core. These exit slips align with Common Core Standards: 6.EE.A.2, 6.EE.A.3, 7.EE.A.2, and 7.EE.B.4.A. So just like before, translating this problem to the equivalent math equation requires students to read each section of the problem, one at a time then write down the math representation as they go along. Let's take a closer look at how the initial equation is derived from the word problem. 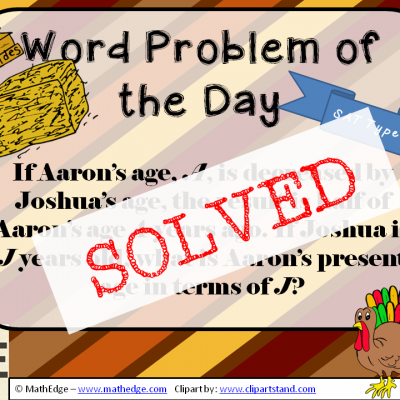 Step 1: As with any word problem, the initial setup is the most important. If the initial setup is not correct then you're essentially solving a different problem. 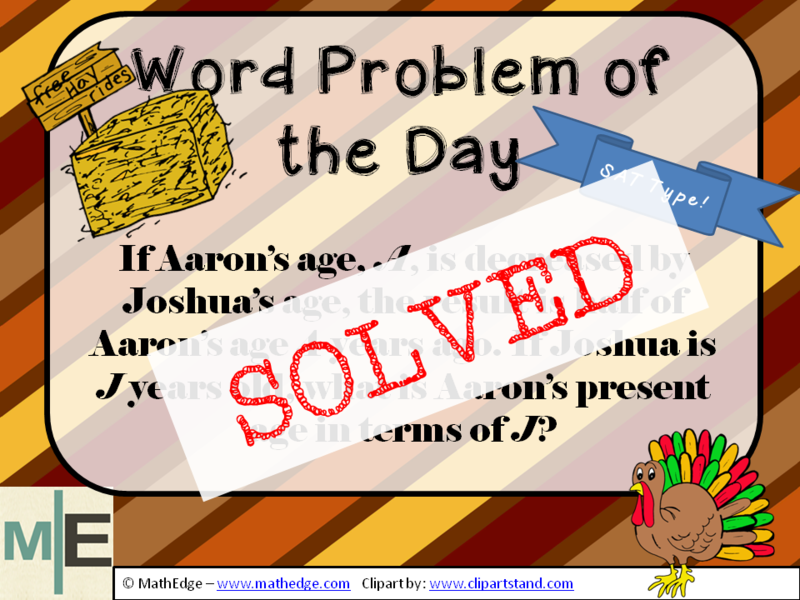 So it is important to take each thought in the word problem and translate it appropriately. "If Aaron's age is decreased by Joshua's age..."
This is a "thought" so let's stop here and translate it. Now we can move onto step 2, 3 & 4 below where what we are using arithmetic and algebraic techniques to solve the equation in step 1 for A.